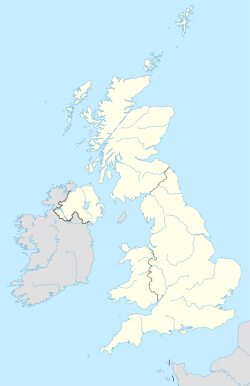 The SW (South Western) postcode area, also known as the London SW postcode area, is a group of postcode districts covering part of southwest London, England. The area originates from the South Western (SW1–SW10) and Battersea (SW11–SW20) districts of the London post town. The SW postcode area covers parts of nine London Boroughs. North of the River Thames, it covers the southern parts of the City of Westminster, the Royal Borough of Kensington and Chelsea and the London Borough of Hammersmith and Fulham. South of the river, it covers all of the London Borough of Wandsworth, the western part of the London Borough of Lambeth, the northern parts of the London Boroughs of Merton and Croydon, the northeastern part of the London Borough of Richmond upon Thames, and a very small part of Royal Borough of Kingston upon Thames. SW postcode area map, showing postcode districts in red and post towns in grey text, with links to nearby CR, EC, KT, SE, SM, TW, W and WC postcode areas. ^ a b c d Monopolies and Mergers Commission (1980). The Inner London Letter Post. HMSO. Archived from the original on 19 January 2012. ^ "Postcodes" (PDF). Archive Information Sheet. The British Postal Museum and Archive. Archived from the original (PDF) on 20 March 2009. Retrieved 24 March 2010. ^ a b "Names of Streets and Places in the London Postal area". HMSO. 1930. "SW1". The Postcodes Project. Museum of London. Archived from the original on 28 December 2012. "SW2". The Postcodes Project. Museum of London. Archived from the original on 27 December 2012. "SW3". The Postcodes Project. Museum of London. Archived from the original on 9 November 2012. "SW4". The Postcodes Project. Museum of London. Archived from the original on 24 September 2012. "SW5". The Postcodes Project. Museum of London. Archived from the original on 24 September 2012. "SW6". The Postcodes Project. Museum of London. Archived from the original on 24 September 2012. "SW7". The Postcodes Project. Museum of London. Archived from the original on 24 September 2012. "SW8". The Postcodes Project. Museum of London. Archived from the original on 20 September 2007. "SW9". The Postcodes Project. Museum of London. Archived from the original on 27 November 2012. "SW10". The Postcodes Project. Museum of London. Archived from the original on 9 November 2012. "SW11". The Postcodes Project. Museum of London. Archived from the original on 28 December 2012. "SW12". The Postcodes Project. Museum of London. Archived from the original on 24 September 2012. "SW13". The Postcodes Project. Museum of London. Archived from the original on 24 September 2012. "SW14". The Postcodes Project. Museum of London. Archived from the original on 20 August 2010. "SW15". The Postcodes Project. Museum of London. Archived from the original on 27 November 2012. "SW16". The Postcodes Project. Museum of London. Archived from the original on 25 September 2012. "SW17". The Postcodes Project. Museum of London. Archived from the original on 20 April 2012. "SW18". The Postcodes Project. Museum of London. Archived from the original on 25 September 2012. "SW19". The Postcodes Project. Museum of London. Archived from the original on 25 September 2012. "SW20". The Postcodes Project. Museum of London. Archived from the original on 25 September 2012.